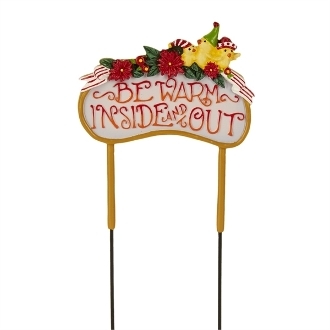 BE WARM INSIDE AND OUT Sign for Merriment Mini Fairy Gardening. Full Description: "Be warm inside and out." This festive sign, designed by Mary Engelbreit, will bring some warmth to a winter fairy garden. Features all-weather paint and hand-painted details.